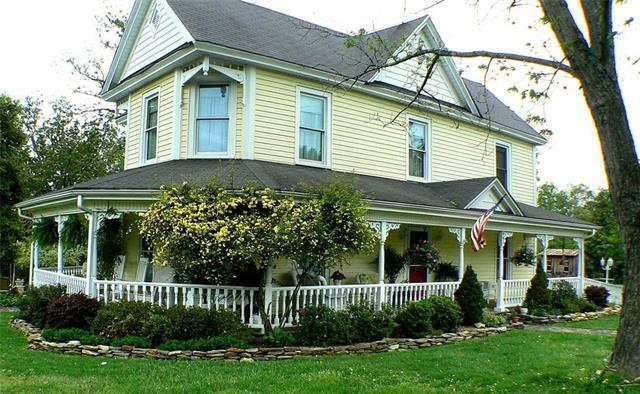 1914 farmhouse, 3.1 acres, remodeled in 2005 and offered furnished (few exceptions). Roof 2013. 4 BR, 41/2 BA, kitchen, L-R. D-R and another dining area. The 452 sf wrap around porch for the perfect afternoon iced tea. 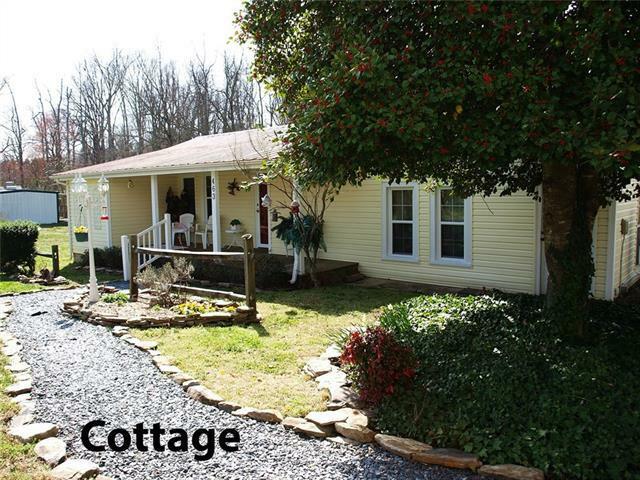 2ND HOME COTTAGE (sold unfurnished) is a 1,343 sf. 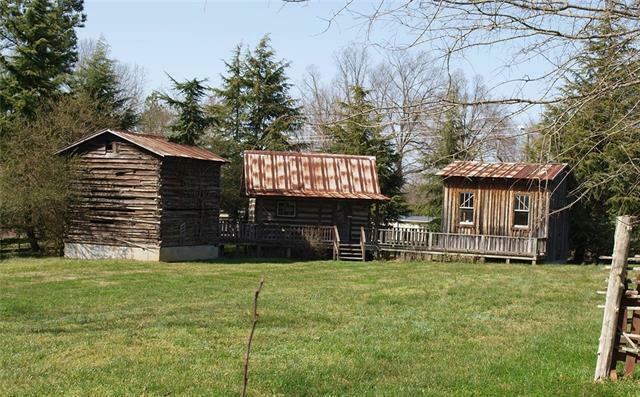 2 bedroom & loft cottage with a living room, 2 baths, a kitchenette and storage. 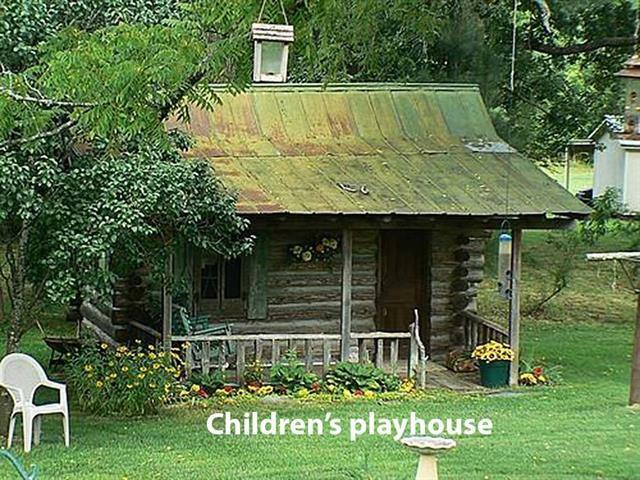 Grounds include 3 tobacco barns unfinished, used as storage, and connected via a wooden deck, plus a childrens playhouse and a carport. Bed and Breakfast in operation. Also would be ideal 2 homes for family taking care of elderly parents. Reduced to $399,900. A must see. The spacious grounds offers lots of parking and could be used for special events, weddings, receptions and corporate gatherings.